You opponent's Sword Slash move does not affect the Spider Jockey next turn. Flip a coin. If heads, your opponent is now paralyzed. 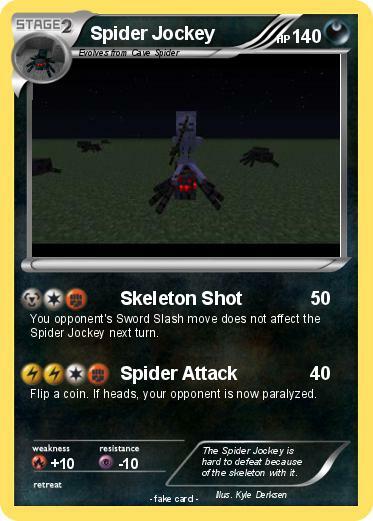 Comments : The Spider Jockey is hard to defeat because of the skeleton with it.